Bermuda is a wonderful destination for cruise passengers. This subtropical island is well known for its beautiful pink sand beaches and turquoise seas, popular festivals and traditions, exciting water sports, scenic beauty and historic charm. There are attractions and activities for all interests and age groups on this lovely island. 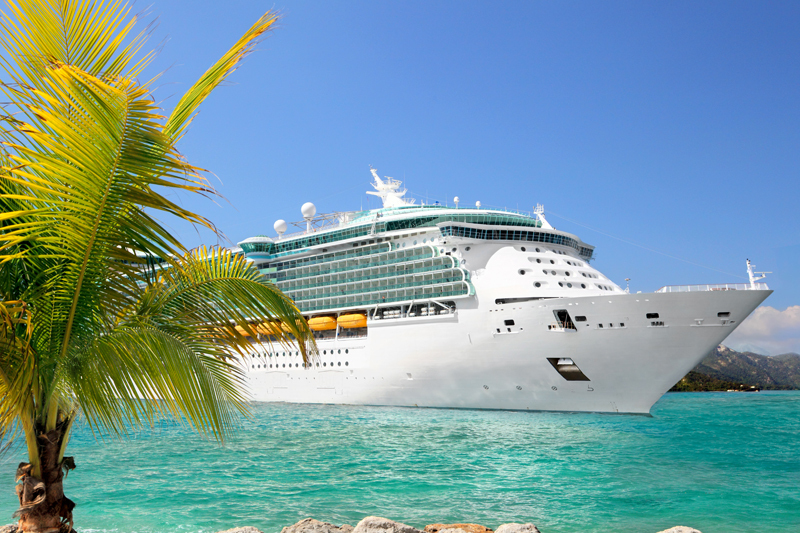 The Bermuda cruise season typically begins in early April and runs through November. 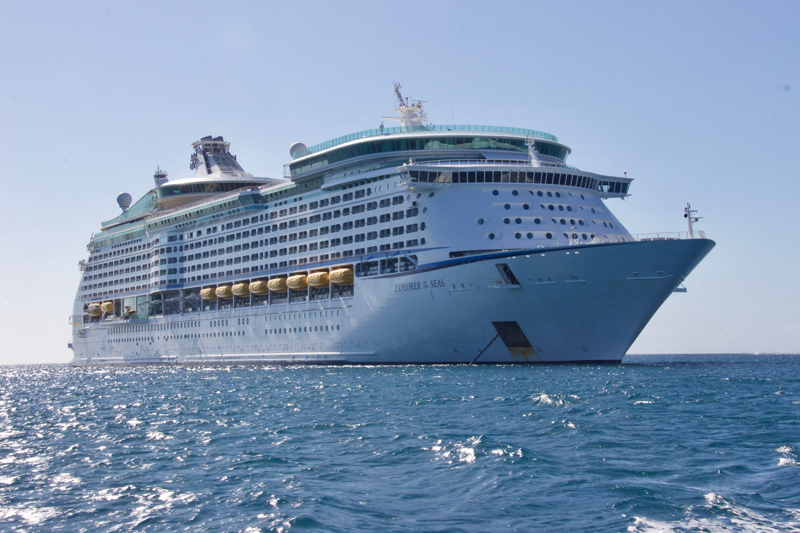 Sailings conveniently depart from a number of popular U.S. home ports including Boston, Massachusetts; New York, New York; Bayonne, New Jersey; Baltimore, Maryland; Charleston, South Carolina; and Port Canaveral, Florida. Most major cruise lines offer full week Bermuda sailings, although shorter cruises of four or five nights can be found as well. Cruises generally dock for several days at the Royal Naval Dockyard or King’s Wharf in Bermuda and a few cruises include an additional port on their itinerary. One of Bermuda’s key advantages for cruise passengers is its excellent transportation system. Bermuda has a great public ferry and bus system, which makes it easy for cruise guests to travel from their ship to St. George's and Hamilton. St. George's is a UNESCO World Heritage Site with cobblestone streets, little alleyways and scenic charm. Cruise guests enjoy visiting the historic Old State House, King Square, the stunning Unfinished Church with its lovely Gothic architecture, the Town Hall and the Old Rectory. Hamilton is Bermuda's capital and the main shopping center on the island. If you're in Bermuda on a Wednesday evening, consider heading into Hamilton for the Harbour Nights street festival on Front Street during the summer months. A cultural program called Bermuda Nights is offered in Hamilton from June to October as well. 1. Instagram-worthy Pink Sand Beaches. Bermuda is famous for its lovely pink sand beaches. Bermuda's Horseshoe Bay Beach has been named as one of the top beaches in the world by TripAdvisor and it's one of the most photographed as well. Most cruise lines offer shore excursions to Horseshoe Bay Beach, but less expensive shuttles are available, too. Taxi cab drivers offer mini-bus shuttles from the Royal Naval Dockyard to Horseshoe Bay Beach for $7 per person each way. These shuttles generally operate from 8-8:30 a.m. to 5-5:30 p.m. whenever cruise ships are docked at the Royal Naval Dockyard. Cruise guests can also take the public #7 bus to Horseshoe Bay Beach. Horseshoe Bay Beach is the only public beach that offers lounge chairs and umbrellas. Warwick Long Bay Beach is another pink sand beach located at the other end of South Shore Park from Horseshoe Bay. Some shuttle drivers will take cruise passengers to Warwick Long Bay Beach for a dollar or two more, but they are not obligated to take passengers there. Elbow Beach is also well-known for its pink sands. Visitors wishing to see a number of Bermuda's pink sand beaches can arrange for a private taxi tour. Make sure to agree on the rate for your tour before starting out on your trip. Cruise guests who want to spend the day at a location with more amenities can also purchase a resort day pass to Elbow Bay Resort or Coco Reef Resort from ResortForADay.com. Book resort day passes early for best availability. 2. Cool Crystal Caves. Bermuda's underground crystal caves are two of the island's most popular attractions. These underground caves feature clear blue lakes and thousands of stalactites and stalagmites on both the cave ceilings and around the lakes' surfaces. Visitors descend into the caves by steps and then walk along floating pontoon pathways to view the underground formations. The Crystal Cave has close to 90 steps descending down into the cavern and there are a significant number of steps necessary to reach the Fantasy Cave as well. Since stairs and walkways can be damp and sometimes slippery, make sure to wear shoes with good rubber-soled treads. Most cruise lines offer shore excursions to Bermuda's Crystal Caves, but those who wish to save money can get to the caves quite easily using Bermuda's public ferry and bus system. No reservations are required to enter the caves. 3. World-Class Watersports. The clear turquoise waters around Bermuda are a great place to spend part of your time in Bermuda. The island is surrounded by hundreds of square miles of reefs filled with beautiful corals and marine life. Cruise guests can go snorkeling, scuba diving, kayaking, reef fishing, or simply enjoy a catamaran sail for a few hours. Other popular shore excursions include glass bottom boat trips, sunset and evening sailing excursions, sightseeing cruises, kayaking trips, and snorkeling or diving adventures around Bermuda's shipwrecks. Bermuda is one of the world's top wreck diving locations with more than 300 wreck sites located in the waters around the island. If you are a certified diver, remember to bring along proof of certification if you are planning on diving. 4. Great Golf and Biking Options. Avid golfers should check out the public Port Royal Golf Course, operated by the government of Bermuda. Located in Southampton Parish, Port Royal Golf Course is considered to be one of the world's top public golf courses and features stunning ocean views. The 6,842-yard course is the former site of PGA Grand Slam of Golf and it received a $14.5 million renovation in 2009. The Port Royal Golf Course is available for play from 7 a.m. to 6 p.m. and cruise guests can book at tee time up to seven days in advance. Soft spiked golf shoes and appropriate golf attire are required. Another popular activity in Bermuda is cycling along the Bermuda Railway Trail. Cruise guests enjoy this leisurely bike ride along the scenic 21-mile railway trail, which was used up until the late 1940’s by the Bermuda Railway. Tours generally include a beach break and the opportunity to stop at lookout points with spectacular views. 5. Awesome Attractions. Bermuda is home to a wide variety of outstanding museums, historic sites and attractions. Bermuda's aquarium is one of the oldest in the world and it houses hundreds of species of fish, reptiles, birds and mammals. The seven-acre complex is popular with families and offers a wide variety of exhibits and activities including glow worm and coastal cruises, snorkeling trips, animal feedings and more. Admission is $10 for adults and $5 for senior citizens and children ages 5-12. Children under five are admitted free of charge. While shore excursions to the Bermuda Aquarium, Museum & Zoo (BAMZ) are available through the cruise lines, it is also possible to get to the facility by bus. Other appealing Bermuda attractions include the Gibb’s Hill Lighthouse, historic Fort Scaur, the Bermuda Maritime Museum and the Spittal Pond Nature Reserve.